For instance, take the recent controversy started by Daring Fireball’s John Gruber, one of the must-follow Twitter accounts for Apple fanboys 8 Essential Twitter Accounts for Apple Fanboys 8 Essential Twitter Accounts for Apple Fanboys I’m not an Apple fanboy myself but I do know a few. They don’t deserve the treatment they receive, and have done throughout history. They’re still human, and still people who need love and attention... Read More . On a podcast, Gruber claimed that Apple “basically invented” the new USB-C standard What Is USB Type-C? What Is USB Type-C? Ah, the USB plug. It is as ubiquitous now as it is notorious for never being able to be plugged in right the first time. Read More , without offering any substantial proof. This myth was busted, but not before being picked up by several other blogs and getting people talking about it. “Steals” is a strong word. Apple is arguably the best in the world at taking existing technologies and cohesively meshing them into a single product. Former executive John-Louise Gassee wrote that Apple hasn’t invented anything, but is more like a great chef. Their expertise lies in taking existing ingredients available to everyone and bringing them together into a delicious dish never imagined before. MacWorld’s John Moltz describes this as “reinventing, not inventing“. It’s an argument that often dissolves into the semantic meaning of “invention”, “basically invented”, “innovation”, “reinvented”, and other variants. Let’s not get into that. What we do want to talk about is the notion among a large part of the public that Apple envisioned and created something new and spectacular, which no one had thought of before them. Often, that’s not true. Computers used to be all about keyboards and command lines. Apple is often credited with changing that by inventing the computer mouse and operating system that uses it. The graphical user interface (GUI), in particular, is something many people believe Apple created. But that’s not the case. Xerox actually invented the GUI and the mouse at its Palo Alto Research Center (PARC). The rise and fall and rise of Apple The Rise And Fall And Rise Of Apple: A Brief History The Rise And Fall And Rise Of Apple: A Brief History The success of Apple indeed lies with their attitude of "Thinking Differently". While the company may not have always been heralded as a success, their strength over the years has come from great vision and... Read More makes it clear that when Jobs visited the PARC, he was so impressed by the Xerox Alto computer’s GUI and mouse, and decided he needed it in Apple. If you want to know more about how Apple stole Xerox’s idea, check out part three of the Everything Is A Remix series Everything Is A Remix: A Four-Part Look At Copying & Derivative Works [Stuff to Watch] Everything Is A Remix: A Four-Part Look At Copying & Derivative Works [Stuff to Watch] Take a good look at your favourite album, movie or even the expensive smartphone in your pocket – there's a good chance they were copied, sampled and assembled from someone else's original idea. Read More . Did Apple change the smartphone industry with the iPhone? Definitely! Did Apple make the very first touchscreen phone? Nope. Not even close. For years before the iPhone came out, Palm was the king of the smartphone world. They were called Pocket PCs then, and they mostly ran on Windows Mobile. The Palm T5 is often cited as an example of a great touchscreen phone that came out years before the iPhone. The iPhone did a great job of making it easier to use smartphones, and make it a technology for regular users and not just professionals, among other things that make it a great mobile 5 Reasons To Choose iPhone Over Android [Opinion] 5 Reasons To Choose iPhone Over Android [Opinion] If you’re considering buying your first smartphone, you’ve got a fairly big decision to make. As well as choosing a carrier, plan and minimum contract period you then have to trawl through the barrage of... Read More . Jobs was adamant that ditching the stylus and using human fingers was the way forward, which was only one of the great innovations in the iPhone. But the iPhone was definitely not the first touchscreen phone around, it wasn’t even the first iPhone-like smartphone: the LG Prada beat it by a month. LOVE my new MacBook Pro. Once you’ve seen the retina display, you can’t go back. So nice. This is perhaps the most infuriating of all of Apple’s supposed inventions. People swear by the “Retina Display”, but it’s actually nothing more than a high resolution screen – something that’s been around for ages. Retina Display is actually just marketing lingo for existing tech, and one of those common display technologies you should know Common Mobile Display Technologies You Should Know Common Mobile Display Technologies You Should Know When you're comparing different mobile devices, whether they're phones, tablets, e-readers, or laptops, one of the differentiating features can be the display technology. But do you know the differences? Read More . In simple terms, it indicates that the pixel density on the screen is higher than can be distinguished by the human eye at a normal distance. Can't wait for the 4.6" retina display iPhone 5! I simply can't go back to anything non-retina display! However, screen size and “normal distance” changes according to the gadget used. So while “Full HD” means 1920×1080 pixels no matter what screen you’re talking about, the definition of “Retina Display” can change according to resolution, ideal normal distance, and screen size. 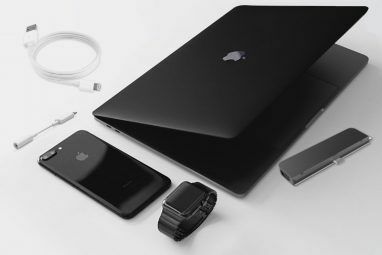 More importantly, before Apple ever introduced the term, there were several phones and laptops which had resolutions higher than Retina Display on iPhones or MacBooks. While Retina Display can be a game-changer Retina Display vs. True Tone: What's the Difference? Retina Display vs. True Tone: What's the Difference? Apple has a serious knack for marketing technology. Two terms pop up more than most: Retina display and True Tone. But what are they, and do you need them? Read More , it’s not an Apple invention: it’s just marketing. Once again, this is a great example of marketing. “FaceTime” is just a type of video chat Don't Forget You Can Make & Receive FaceTime Calls on Your Mac Don't Forget You Can Make & Receive FaceTime Calls on Your Mac Apple's FaceTime is seen in many of its commercials, but some Mac users may not realize that the application is also available for use on their desktop computer. Read More , but video chat itself has been around for a long, long time before that. Heck, by the time FaceTime debuted, Skype was already a big deal. There is actually nothing innovative about FaceTime when you compare it to many of the existing video chat services available at that time. In fact, FaceTime offered fewer features and didn’t work as well as many of them. Its only appeal was how easy it was to use if you already had an iPhone and so did the person you wanted to talk to. Since then, not much has changed honestly. Current video calling solutions still continue to outpace FaceTime in innovation, and in fact you can make cross-platform video calls for free Best Smartphone Apps for Free Cross-Platform Video Calls Best Smartphone Apps for Free Cross-Platform Video Calls It doesn't matter your platform -- from Mac to PC to Android and everything in between -- one of these apps will let you make video calls. Read More , so there really is no reason to keep yourself hooked into the FaceTime world alone. Apple hasn’t given up on FaceTime, which was recently heavily featured in hit TV show Modern Family – an entire episode was set in it. Yet another example of how Apple makes you buy stuff through Hollywood influences How Apple Owns Hollywood, and Makes You Buy Its Products How Apple Owns Hollywood, and Makes You Buy Its Products It seems that any film -- no matter what genre -- features an Apple product. In fact, Apple products constantly pop up in Hollywood movies. As we're about to explore. Read More . But even if you continue to use it, please know that the company didn’t invent video chat, it has been around for long before Apple ever made it. The iPod was the breakout product that put Apple back on the map as a serious technology company, complete with the iTunes digital music store. But Apple wasn’t the first to do either of those things. In the history of portable music players Tunes On The Go: From The Walkman To The iPod & Beyond [Geek History] Tunes On The Go: From The Walkman To The iPod & Beyond [Geek History] Your children will never know what it’s like to have the batteries on a personal cassette player start to run out, as the music slows by a noticeable couple of BPM and Bruce Dickinson’s vocals... Read More , several MP3 players came before we ever saw the iPod in 2001. Among them, the Diamond Rio PMP3000 and the Creative Nomad were probably the most famous, but several other companies released portable MP3 players too. To its credit, the iPod was easier to use, in no small part because of the new click wheel — a genuine Apple invention that it deserves credit for. 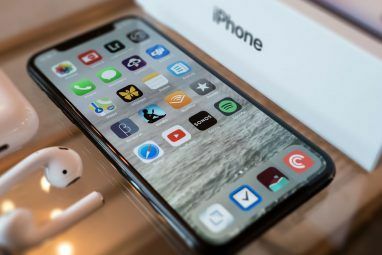 However, even if the iPod is one of those iconic Apple products that some people might still want to buy Should You Buy Apple's Best iPod Touch Ever? Should You Buy Apple's Best iPod Touch Ever? The new sixth generation iPod Touch is the best iPod Apple has ever made, but it suffers from one fatal flaw: nobody actually needs one. Read More , you’re mistaken in thinking Apple invented MP3 players. You know what the funny part is? So many people still think Apple invented the iPod, but Apple itself admitted it didn’t. As for the digital music store, Ritmoteca was selling music in 1998 and signed up major labels like Sony, Warner, and Universal, which meant it distributed some of the hottest musical stars at the time, including U2 and Britney Spears. Ritmoteca went belly-up in the dot-com bubble burst, partly because of the combination of iTunes and iPod. Be that as it may, Apple didn’t come up with the idea of selling MP3s, and it also didn’t come up with the idea of streaming music with Apple Music. 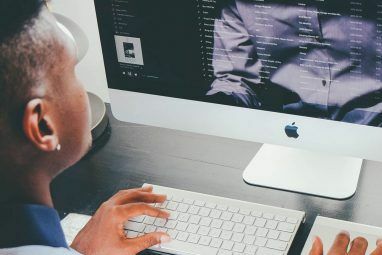 Spotify has existed for some time, and is partly the reason music consumption has evolved in a way where even iTunes sales and paid music downloads are declining now. Did Steve Jobs Take Everyone for a Ride? Explore more about: iPad, iPhone, iPod, iTunes, MacBook. RIAA Finally Shuts Down Popular YouTube to MP3 ConverterDo Online Petitions Ever Accomplish Anything? Isn't it ironic that in a piece meant to set the facts straight the author writes "Apple hasn’t given up on FaceTime and recently even paid hit TV show Modern Family to set an entire episode in it", but if you actually go to the article in which he links to you find this: "In part, that’s because—surprise!—Apple didn’t pay a cent to be involved." Ha, totally got me there! I didn't know Apple had denied paying Modern Family anything for that, but that they just sent over new Macs, iPads and iPhones to the crew. I'll change it, thanks Gilad! The fact that it was Apple's communication's products that were used in the show tells us that even if you don't "say" that Apple invented a category/product/technology, their products are the first that come to mind when you need to depict a product/technology/category. Oh I agree about Apple's brand recall. I'm more concerned about how many people think they invented something, instead of popularizing something. Let me put it this way: It's like people who think The Magnificent Seven invented a category of movies, without knowing that Shichinin No Samurai exists. “I’m more concerned about how many people think they invented something, instead of popularizing something.” Seriously?!?! The fact that something as petty as this actually “concerns” you is hilarious and in itself concerning. No, Apple didn’t “invent” the MP3 player, but they did make the first one that wasn’t a POS. They didn’t invent the tablet, but once again they made the first one that wasn’t a POS. By your definition of “invent” anyone can create something that has a good concept but is barely useable and they are inventors. The Apple hate is strong in this site and it is funny as hell. You could add the metal unibody phone that Apple HTC created and Apple popularized to an extent that HTC has to defend its latest A9 phone as a logical progression from their M7 phone and not an iClone. 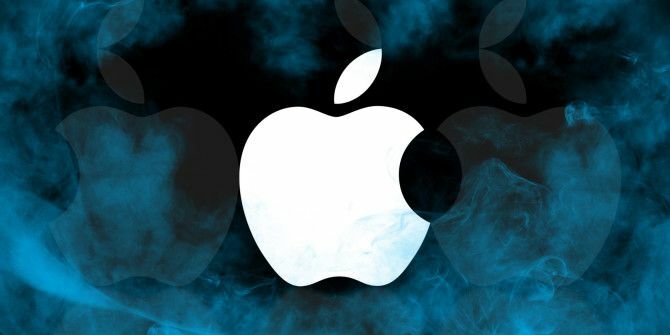 Apple is an excellent design and marketing company, just not a technologically innovative one, as a glance at the R of their R&D budget will show. Yeah, I was surprised by the short memory people had on that one too. Apple was sued by the Beatles over copyright infringement, and the only reason "Apple" got to keep it's stolen name was to swear it would NEVER get into the "music business". LIARS. No, I wasn't referring to any article, I was paraphrasing the memory I personally have of the event. Yeah, I'm that old. I still even have my original Z-80 "computer", and can remember when typewriters were IBM's big seller. My first IBM machine had a whopping 38Mb HDD. Remember, Apple has the power to "wipe" just about anything they want to. Aah ok. I don't think there was ever an agreement about Apple not getting into the music business. I mean, that lawsuit was settled much after iPod and iTunes, so I don't see how that condition would even be discussed. The law suit I was referring to was long before iPod's, it was around the time of the Mackintosh, or the Apple II. Not long after Apple started up. Back when HDD's were the size of mini-vans. I had an Ericsson R380 in 1999 which was probably the first device that resembles what people would call a touchscreen smartphone today. The first device to call itself a smartphone was from AT&T in '95. As for MP3 players, the really funny thing is that Apple devices didn't even play MP3s until relatively recently. The iPod, early iPhone and iTunes all supported AAC, not MP3. I think it was gen 3 or 4 before the iPod finally supported the format the rest of the world was using. Oh hey, that's true, early iPods were AAC only, not MP3! I forgot about that. Good catch, James! Let's not forget about Apple Pay with iPhone 6. Even though, NFC enabled devices running Android started with the KitKat (4.4.#) version back in 2013 Apple marketed it as a new idea for their iSheeple. They made it seem as new technology but never actually said so...they just used the Steve Jobs douchebaggery technic of the "The Grant Unveiling". It all about marketing and that's what Steve did best....bull sh!tting the masses. Apple never said it invented Apple Pay but the world knows it is much better than Android Pay. To be fair, Android didn't start NFC-enabled payment either. The tech has been around for some time. And ironically, I don't know about younger Apple fans, but we older Apple fans know that Apple didn't really invent any of these. Apple has just been an expert at making what was before-hand difficult and niche, both easy to use and mainstream. That is their specialty. I think the one big thing Apple did was "invent" the cheap desktop, laser printer. Again, though, it was a convergence of several technologies into a product that worked. It's worth reminding that many technologies were festering on a shelf until Apple picked them up, dusted them off, and used them, and that includes the GUI (I used to use a Xerox dedicated desktop publishing platform, and it was awkward and lame compared to the Mac--but had cool things like desktop printers and drag-and-drop to print), the mouse, 3.5" floppy, USB, and yes, even USB-C. Although, I think Apple had a hand in the USB-C spec, and was not merely an adopter. It is difficult and even dangerous to simplify things down to a "did/did not invent" scenario. If you want to simplify, look at it this way. Other companies are able to look at the parts, and invent the parts, but it takes Apple to synthesize them in a way that people actually want them. And this is true whether we want to admit it or not. Everything you said is almost exactly what I write at the start of the article :) I agree with your thoughts, but because of the how the word "invent" can have multiple meanings, many people think Apple actually conceptualized and built stuff out of nothing. I just wanted to clear that up with this article. Apple does not, for the most part, invent new technology, it just makes it accessible to the masses (those that can afford its products). "Myth 4: Apple Invented Video Calling"
At the 1964 World's Fain in New York, AT&T, IIRC, exhibited a working videophone. Granted, it wasn't hand-held but it WAS a videophone.